Amid the confusion of smart showerheads and selfie drones at CES this year, a handful of companies are working to serve the needs of populations that are frequently overlooked by the proprietors of high tech. You won’t find these devices in every home, but homes with someone disabled by age or misfortune will welcome them more than a new voice-powered fridge. The Dring Smart Cane might strike you as rather a kooky item and perhaps part of the things-that-don’t-need-to-be-smart set. But this isn’t a step tracker that syncs with your smart home — it’s a safety device. People with canes are, naturally, often physically or otherwise disabled and prone to getting lost or falling and injuring themselves. In that light, a cane that tracks the user’s location and tells someone if they’ve fallen, left a certain area, or need help seems like a pretty good idea. And that’s just what the French company has made. 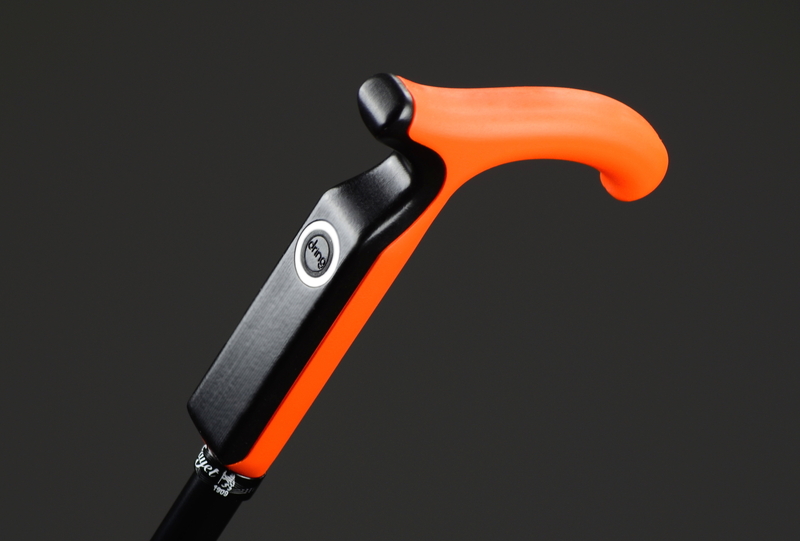 The sensors and GPS module are all in the handle, and it can call, text, or email set contacts with an alert when the cane (and possibly the user) has fallen, or when the button is pressed. The cane itself is designed by century-old walking stick company Fayet, which made Dr House’s cane, so you know it’s high quality. A wheelchair is just as likely an accessory as a cane when someone finds themselves disabled, and wheelchairs aren’t particularly smart, either. Gaspard, top, is a simple addition that could help those new to a wheelchair avoid the consequences of bad posture and inactivity. Gaspard is a thin pad that sits under the wheelchair’s cushion and detects the user’s position with a set of pressure sensors. Communicating via a smartphone app, the cushion tells the user whether their posture is correct — leaning too much to one side could indicate chronic pain or some other issue. It also tracks weight over time, and has users meet activity goals, as measured by lifting oneself up from the chair regularly. Following an event like a stroke, rehabilitation is a must if the person affected is to regain as much use of afflicted limbs. But physical therapy in the hospital may not be as frequent as one might wish, due to everyday barriers like scheduling conflicts, free time, and so on. South Korea-based Neofect makes devices and software that help stroke victims in particular (though others may also benefit) continue therapy at home. The basic idea is to gamify the exercises and track progress with greater granularity than self-reporting or observation. By wearing Neofect’s rather crazy looking glove, multiple axes of flexion and torsion can be detected with great precision. 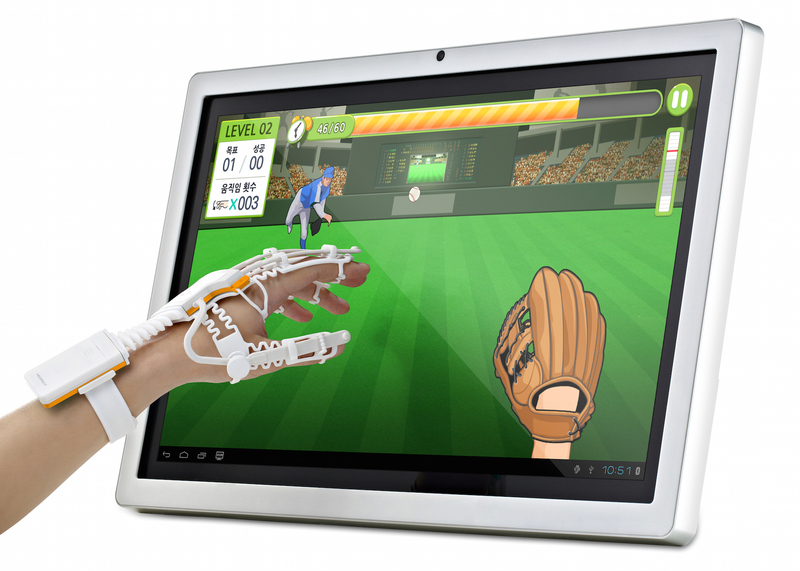 The user plays games that require them to twist their wrist to move a character or grasp virtual objects, and gain points for doing so. The games are simple, but for many they may be a better option than being told “move your wrist up and down 10 times every 2 hours” or some other such instruction. A second, much larger device does a similar job for events that affected the elbow and shoulder, requiring sweeping motions to feed virtual puppies or navigate a metal detector along a beach. A published study documented improved outcomes for people using the devices, and it’s not hard to picture them being desirable additions to physical therapy centers worldwide. Hap2U isn’t as directly focused on the disabled community, but its technology could still be helpful to them, in addition to everyone else. Its prototype haptic display provides a variety of physical feedback when interacting with on-screen items like dials and images. Turn a dial up, and feel it hit little notches at every stop; tap a switch and get a little click in response; run your finger along one part of the screen and feel a texture different from the rest. It’s accomplished with tiny vibrations corresponding to each visual element, and quite a wide variety can be imagined. The screen itself is also pressure sensitive, meaning it could, for example, give you feedback when you’ve accomplished a light and a heavy tap. 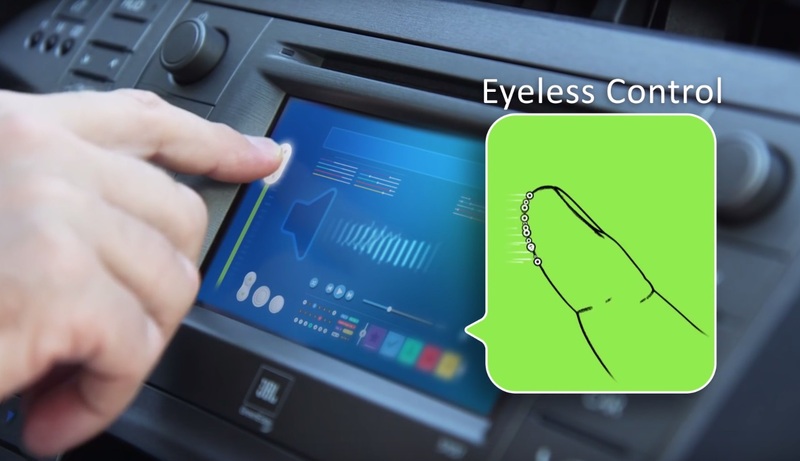 One can imagine the possibilities for improving the touchscreen experience of someone who’s blind or partially sighted, but it’s also useful to anyone who can’t spare their eyes or see their device. Turn the volume up or down without taking the phone out of your pocket, or slide between radio stations without taking your eyes off the road. Hap2U is working on miniaturizing its technology, which in its current prototype form is rather bulky, and hopes to bring it to smartphones and other touchscreen devices soon.